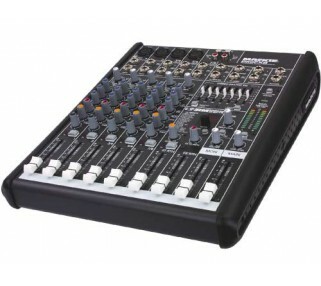 Rent this ProFX8 Compact Effects Mixer and get the most complete and professional feature set in the compact effects mixer category. 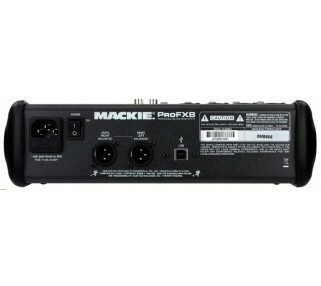 Mackie low-noise, high-headroom mic preamps ensure pristine signal while LED metering and 60mm faders on each channel keep levels in check. 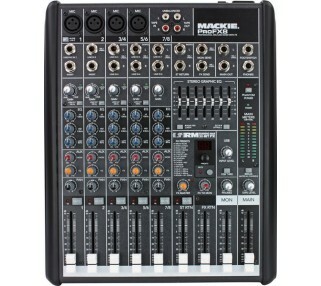 3-band active equalizers and 16 gig ready effects give you great control over your sound output. Easily tune mains and monitors with 7-band stereo graphic EQ and capture the mix or stream house music from a laptop using the built-in USB port.